University of Denver - worth the pricetag? I was hoping to find some people who attend DU or are currently applying to DU who could shed some light on the situation. DU is $15,000 more a year than some other private schools I applied to and I'm in search of some kind of rationale to justify that much debt. From the looks of it, it seems like a great program with unique options. However, we all know that things aren't always what they seem and it's best to get information from someone with first hand knowledge. Personally, I have to disagree with the "it doesn't matter where you go" arguement. This will be my second master's degree. Having done my first at a small, virtually unknown beyond the local area, private school, I have come to learn that prestige and pedigree do count for something when applying for competitive jobs. But hey, that's just me and my two cents. I was blessed (read: cursed) with a modern orthodox uprbinging in a suburb of NYC. I desperately wanted to get out, so I sought refuge in the south after high school. 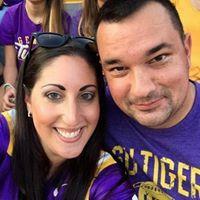 I went to Louisiana State University for undergrad, and found Baton Rouge to have a small Jewish community. That includes: two reform temples, no JCC, no Chabad, no kosher restaurants, and a mostly defunct Hilel. I taught Hebrew school at one of the temples as a sub occasionally since they got word that I was a fluent Hebrew speaker and graduate of yeshiva. Oy. New Orleans, just an hour down the road, has a much larger Jewish scene, including an Orthodox shul, JCC, day school, two (or more now?) kosher restaurants, conservative temples, and several reform ones, too. Still, as compared to NY, New Orleans didn't compare. But in a good way. It wasn't as suffocating. As a matter of fact, I loved it. I've been living in Charleston, SC for 3ish years now. Here, there is 1 orthodox shul ( and 1 offshoot, due to disgruntled members), a Chabad, 1 conservative, 1 reform temple, a JCC, a Hillel (at CofC), a k-8 day school, and no restaurants. The community here is very, very small. Don't let any of that fool you. My mother is still adjusting to the fact that only 30 people show up to Saturday morning services. She's used to 300. But after all, this is the south, not the Jew mecca. My advisor and other professors told me to go with the broader option. If you select a specialization that's too specific, it's going to confine you to that one area. If you're undecided now, that could cause you some grief later down the road. I've been admitted to the University of Denver, and while I'm very excited about it, I'm concerned about the pricetag. I was awarded a decent chunk of change via merit scholarship, however, I will still be responsible for a significant amount of money. Even WITH FAFSA. I won't be making six figures when I graduate, so I'm wondering, can I really afford this university? Is it worth the struggle?